KARACHI: (APP) The Nigar Film Awards have been revived after a long hiatus. This was announced by Ilyas Rashidi , founder of Nigar Weekly, at a press conference here on Thursday. He said that the 47th Nigar Award ceremony would be organized in Karachi on March 16 after a hiatus of 12 years. Ilyas further pointed out that preparations for the event are in full swing. He said that the actors as well as those associated with the film industry would be conferred awards. 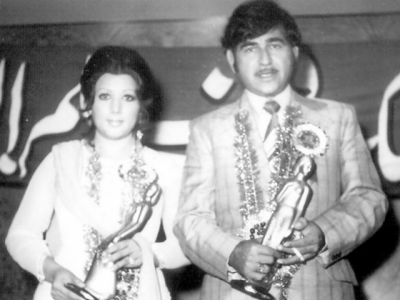 Famous Film actor Ghulam Mohiuddin said on the occasion that Nigar Award has a long history. Actor Mustafa Qureshi also hailed the revival of the Nigar Award. Saeed Rizvi, actor Saud and others associated with film industry also expressed their views on the occasion.